Biological tissue such as blood vessels, skin, cartilage or nervous tissue provide vital functionality to living organisms. Novel computational simulations of these tissues can provide insights into their biomechanics during injury and disease that go far beyond traditional approaches. This is of ever increasing importance in industrial and medical applications as numerical models will enable early diagnostics of diseases, detailed planning and optimization of surgical procedures, and not least will reduce the necessity of animal and human experimentation. However, the extreme compliance of these, from a mechanical perspective, particular soft tissues stretches conventional modeling and testing approaches to their limits. Furthermore, the diverse microstructure has, to date, hinderec their systematic mechanical chracterization. In this project, we will, as a novel perspective, categorize biological tissues according to their mechanical behavior and identify biofabricated proxy (substitute) materials with similar properties to reduce challenges related to experimental characterization of living tissues. 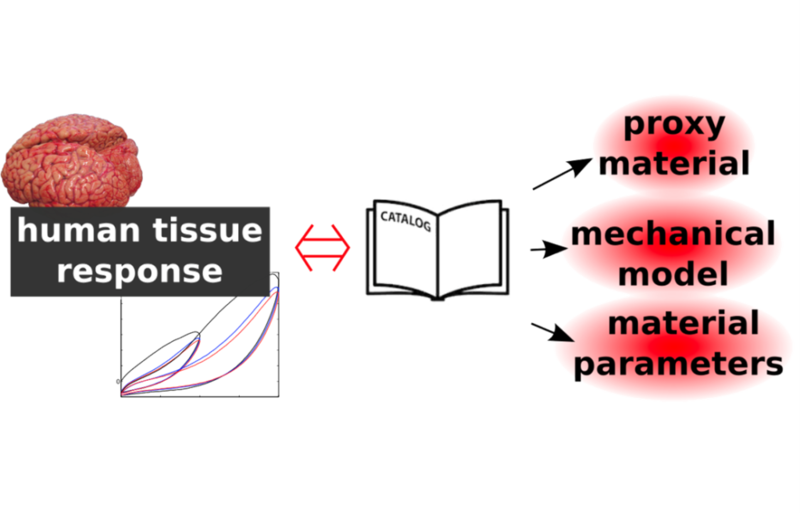 We will further develop appropriate mathematical models that allow us to computationally predict the tissue response based on these proxy materials. Collectively, we will provide a catalogue of biopolymeric proxy materials for different soft tissues with corresponding modeling approaches. As a prospect, this will significantly facilitate the choice of appropriate materials for 3D biofabrication of artificial organs, as well as modeling approaches for predictive simulations. These form the cornerstone of advanced medical treatment strategies and engineering design processes, leveraging virtual prototyping. Schematic illustration of the research goal of the current EFI project.